"Breaking the online dating sound barrier": Tinder Hits USD 3 Billion Valuation After Match Group Converts Options ? 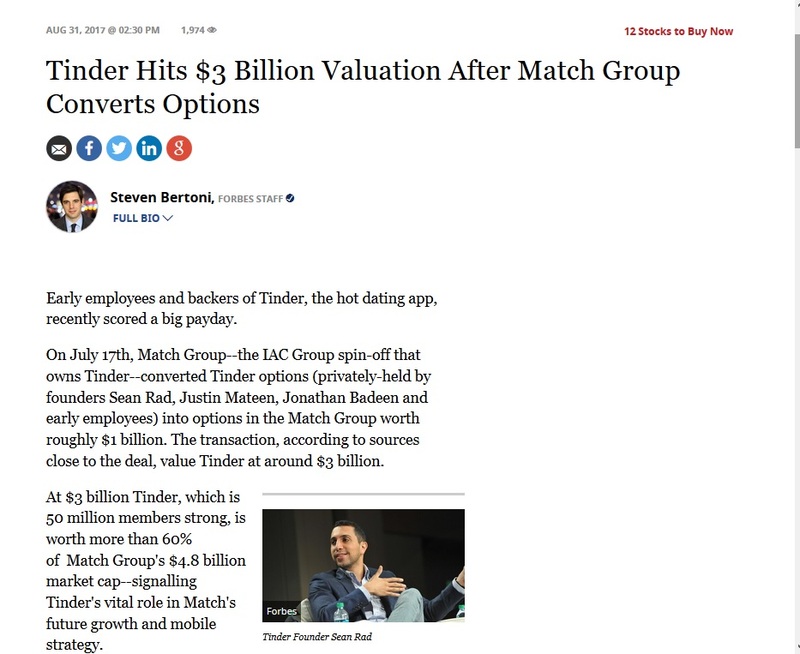 Tinder Hits USD 3 Billion Valuation After Match Group Converts Options ? Please notice Tinder is in big war with Badoo, and can not outperform it. The mission of Tinder was to kill Badoo, but it seems Tinder is killing Match. When Match Group (fka IAC Personals) bought OKCupid (6+ years ago) for an astronomical amount of money, the OKCupid team had the task to copycat Badoo, but they failed in that mission. 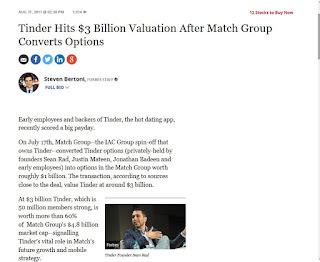 IAC / Match Group "acquired" HatchLabs to "develop" Tinder copycat of Badoo. Tinder Boost feature in 2016 same as Badoo in 2006, 10 years ago! Match Group in big debt now, USD 1.2 Million. The Match Group is only a collection of old and obsolete online dating sites: Match, Meetic, Chemistry, OkCupid, LoveScout24 (FriendScout24), OurTime, HowAboutWe, PlentyOfFish and many more and all of them are past their primes, reached operating ceiling and they are in decadence. Perhaps Badoo plans to incinerate Match in revenge? If they hacked Match Group databases and can demonstrate Match Group does really create fake profiles from inside to entice customers to subscribe, ala OKCupid lawsuit.